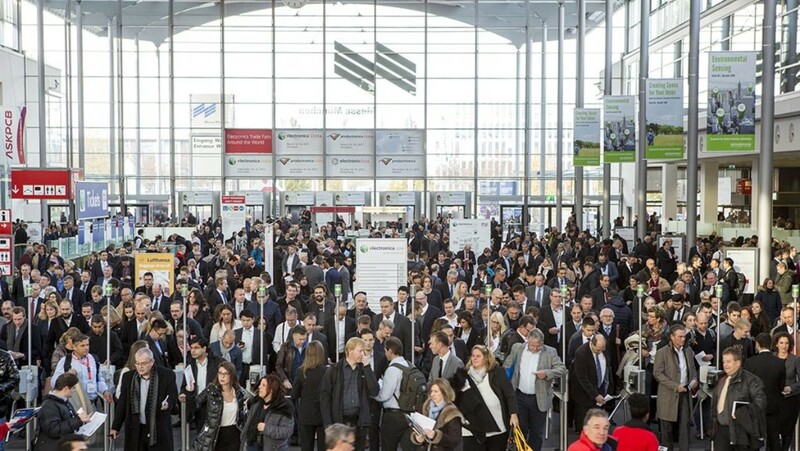 In keeping with the motto “Connected Worlds—Safe and Secure,” electronica, the largest electronics trade fair in the world, took place in Munich from November 8–11. A total of 2,913 companies from more than 50 countries presented their solutions for this sector. They used the industry gathering to network with approximately 73,000 visitors and dialog with professionals from around the world. According to Falk Senger, Managing Director at Messe München: “This year's electronica did an impressive job of demonstrating how the various aspects of our lives will network with one another in the future and redefine our everyday lives.” Kurt Sievers, Chairman of electronica's Technical Advisory Board, European Vice President and General Manager Automotive, NXP Semiconductors, adds: “Smart technologies and applications make it vital for new security solutions to keep up with this development. Security by design is an important guiding principle for the industry.” “It will play a key role in the future,” explains Christoph Stoppok, Managing Director of the Electronic Components and Systems Division and the PCB and Electronic Systems Division of the ZVEI (German Electrical and Electronic Manufacturers' Association). “The only way to instill trust in consumers and successfully sell smart devices is to make high-tech products and their components secure.” As the electronica Trend Index revealed (see press release from November 8), consumers around the world are aware that security in connected devices is essential. Approximately 73,000 trade visitors from more than 80 countries attended the fair in Munich. As a survey conducted by Gelszus Messe-Marktforschung revealed, satisfaction among visitors remained high. 99 percent gave the fair a rating of good to excellent. A total of 2,913 exhibitors from than 50 countries presented their products and technologies at the fair. That corresponds to an increase of 7 percent over the 2014 exhibition, continuing a trend during the last few years. “More and more companies present components in the context of applications,” explains Senger. Besides Germany, the countries with the largest contingents of exhibitors were China, Taiwan, the USA and Great Britain (in that order). 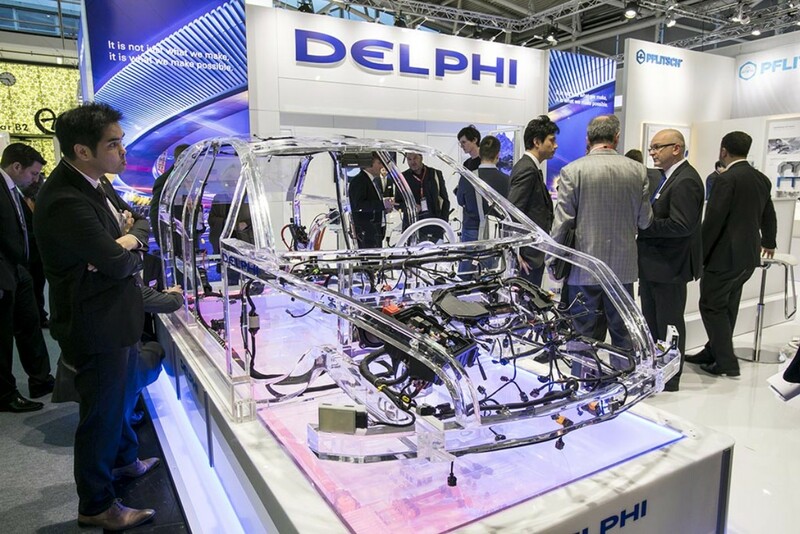 In keeping with the motto “Connected Worlds—Safe and Sound”, key figures from the semiconductor industry, OEMS and the scientific sector got warmed up at the CEO Roundtable on the first day of the fair. This year's discussion showed that security is important, but also highly complex. However, it can only be achieved in close collaboration with the IT industry. The Internet of Things and cyber security were also key themes of the Embedded Platforms Conference, which also saw an increase in attendance with a total of 218 participants. IT2Industry, the International Trade Fair and Open Conference for Intelligent, Digitally Networked Working Environments, was also a success. It allowed visitors to gather information about topics such as Industrial Software & Systems, Industrial IT Security, Big Data & Cloud, Smart Factory, M2M Communication and Embedded Systems. For the first time ever, electronica featured a new platform that revolves around aspiring founders and start-ups. For four days, 35 participants from around the world competed for the electronica Fast Forward Award in the categories “Idea,” “Prototype,“ and “Start-up.” They demonstrated the enormous innovative strength and dynamics that lie in electronics and gave the industry important momentum with their ideas. And their efforts were rewarded with the electronica Fast Forward Award. Additional information about the finalists is available under “electronica Fast Forward” at the electronica website. 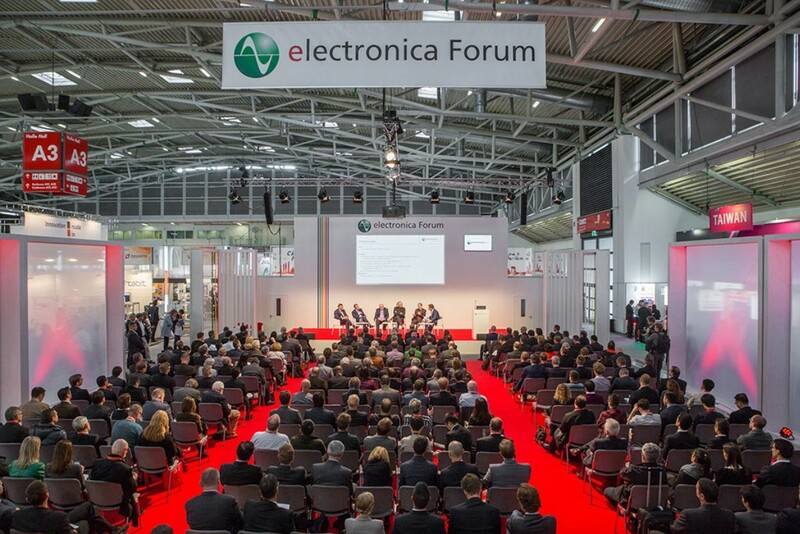 Exhibitor statements about electronica 2016 are available in the Press section of the electronica website.